Your siding greatly affects more than just your home’s durability and indoor comfort during inclement weather. Having an attractive siding greatly improves your home’s curb appeal, making it look inviting to you and your guests while making it desirable for buyers in case you decide to sell it in the future. Did you know that you can enhance your siding simply by adding the right lighting fixtures? By using the correct light fixtures or by placing them in the right spot, you can add drama and flair to your siding, regardless of its condition. Here are some outdoor lighting ideas for your home’s siding as described by Sturdy Home Improvement, your siding and roof replacement contractor. Commonly used in garden lighting, festoon lighting can also be used to add drama to your otherwise plain looking siding during the night. Simply attach festoon lighting near your exterior walls and watch it come alive. Perfect for those late-night barbecues and al fresco dinner parties. Fairy lights exude a softer, more natural effect compared to festoon lighting, but when placed in small areas, they provide adequate illumination that’s bright yet relaxing. Your home additions expert advises that they’re best placed in smaller gardens where walkways are quite narrow. Up-lights are an effective way to enhance your home’s siding and garden. By up-lighting plants, small trees, topiary or other feature plants, you turn an otherwise simple garden or walkway into one that’s atmospheric and inviting. Up-lighting plants near your exterior siding will result in an even more dramatic effect. You can also do this using solar-powered spike lights. Certain areas of your home are best illuminated using down-lights. Down-lighters are effective at changing how your exteriors look. Use them in walkways, entrances and other areas where you want more attention. If you’re looking for the best lighting that can enhance how your siding will look, look no further than architectural lighting. These light fixtures will greatly improve your home’s curb appeal by adding shadows and light that will flatter the best of your exterior features. Before you can make use of exterior lighting to enhance your siding, you need the best siding for your home. 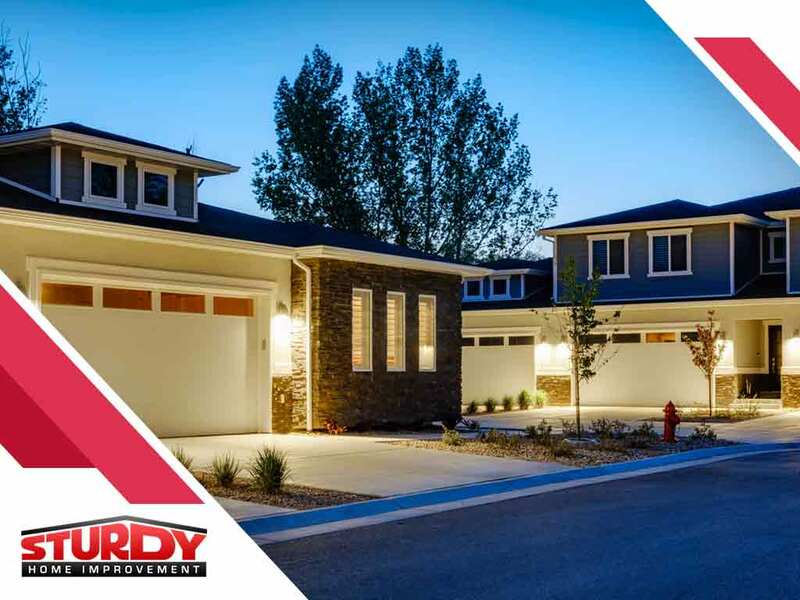 Sturdy Home Improvement, your expert siding contractors, can help you with that. Give us a call at (508) 948-0128 and we’ll schedule a free consultation. We offer exterior improvement services to homeowners in New Haven, CT.
Review the total list of Services and Products we provide. If you have a custom job that you'd like to discuss feel free to either call or fill out our online form. Take a look at what people are saying about us. Our online testimonials are written by real, honest clients that have taken the time to express how they fell about our work(s). Our Home Tips section is the area of our website where we educate our consumers. There are a lot of bad seeds in the industry so the more you know, the more you'll save. We have completed a lot of jobs and can prove it. Take a look at our Job Map and View all of the location where we finished a project. Our list is always growing. Great group to work with. Highly recommended. Re-hired Jeff and team to fix my roof before the big storm hits this week. They were right on it and allowed me to take my vacation with little worry. Great owner, great team. Professional, courteous, Trustworthy. Very punctual, high quality work. very fast turn around, Joshua and team are awesome !